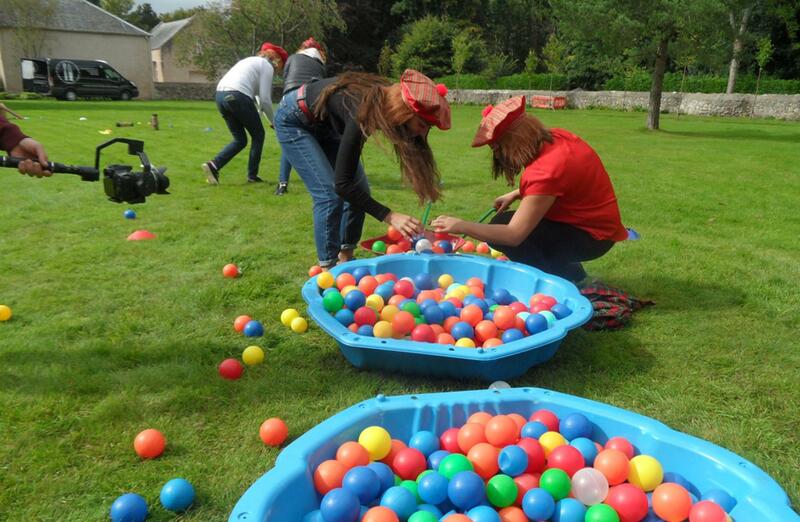 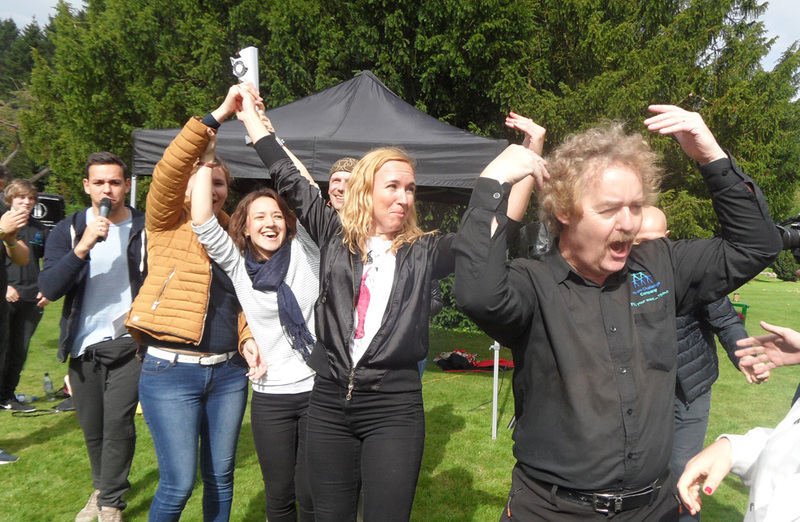 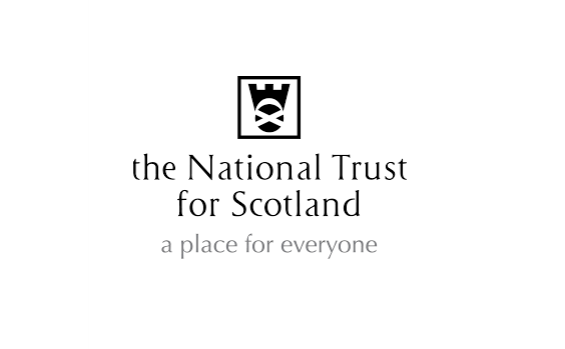 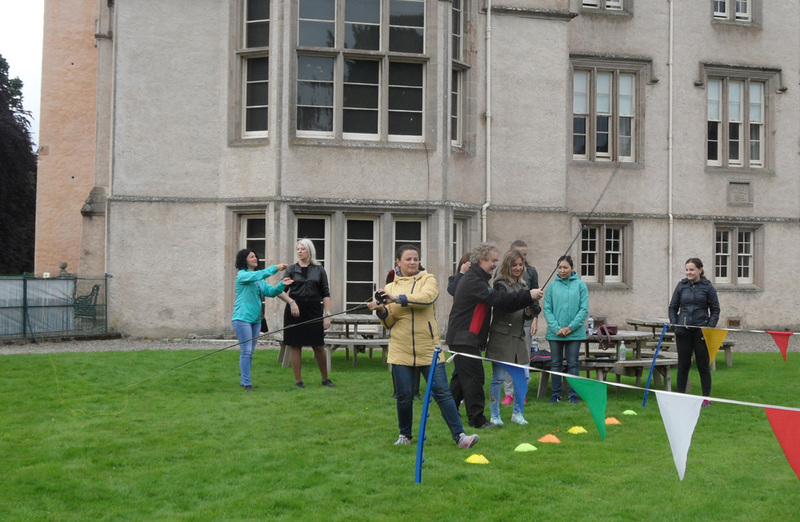 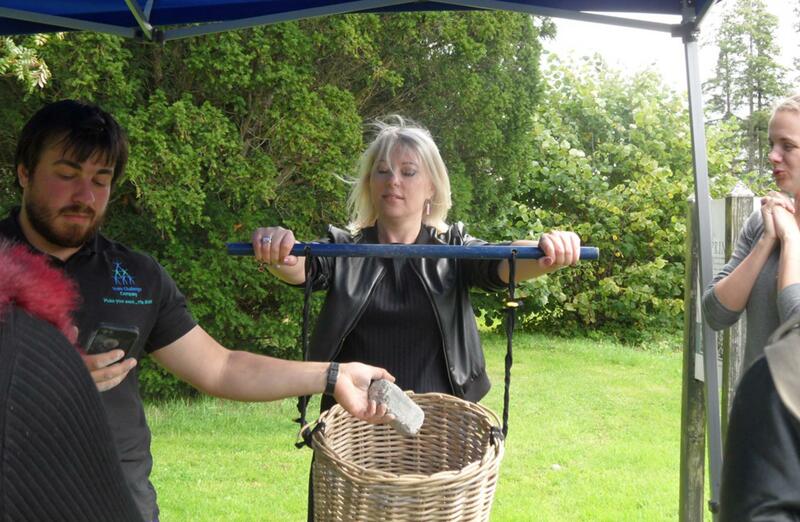 The weather was beautiful and the sun was shining brightly as the fantastic National Trust for Scotland’s Brodie Castle played host to another day of fun and energetic incentive team building in the form of Mini Highland Games. 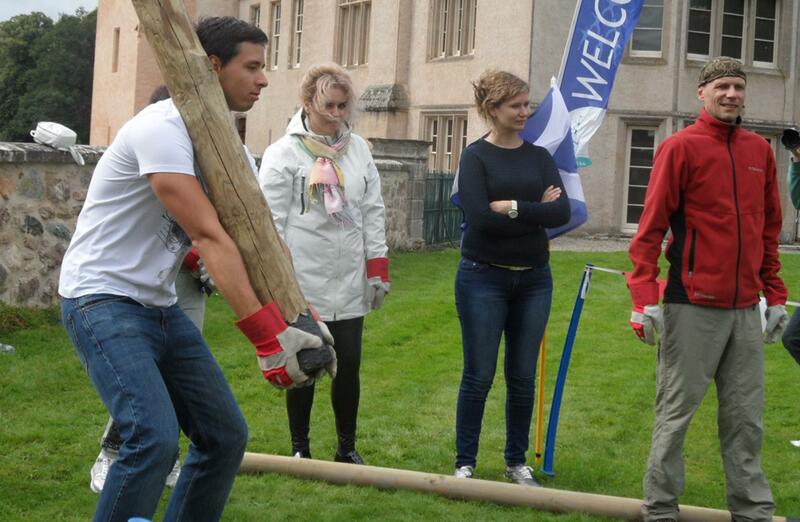 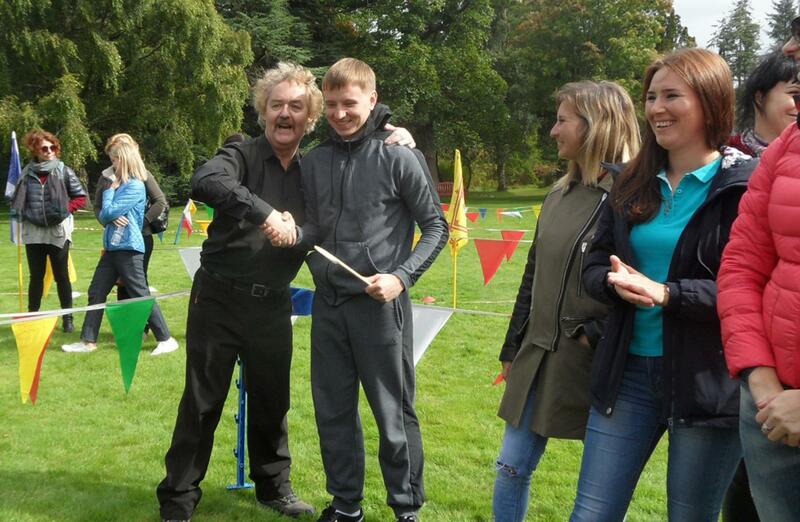 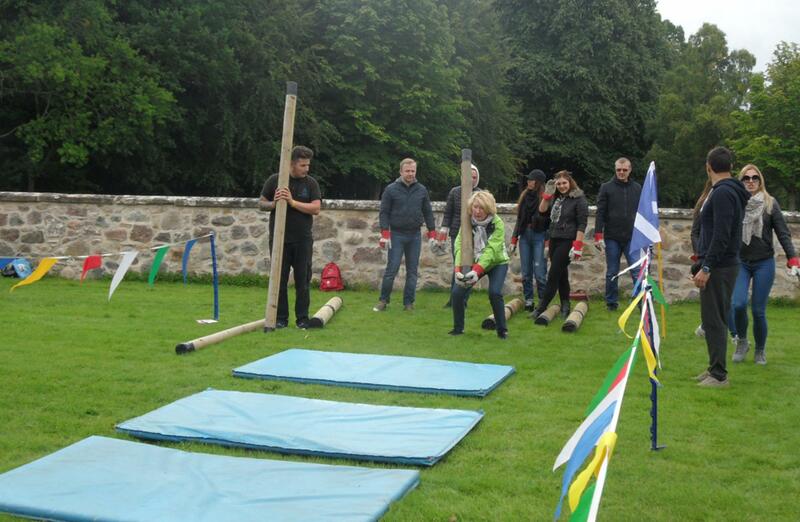 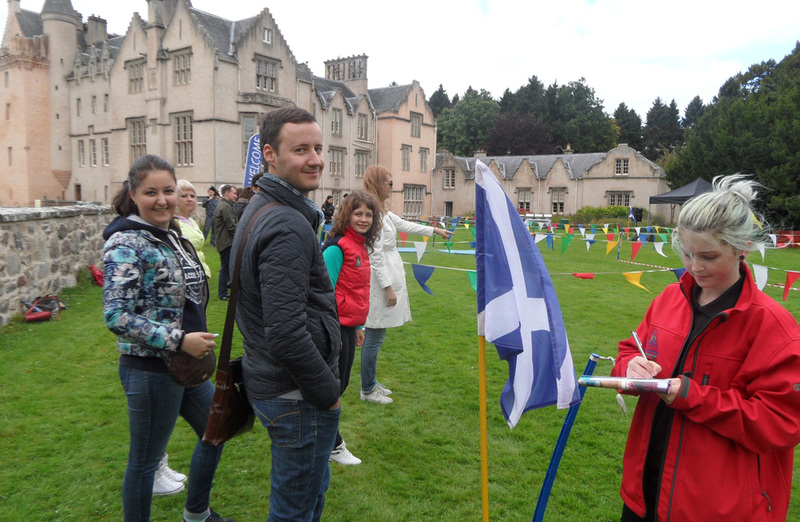 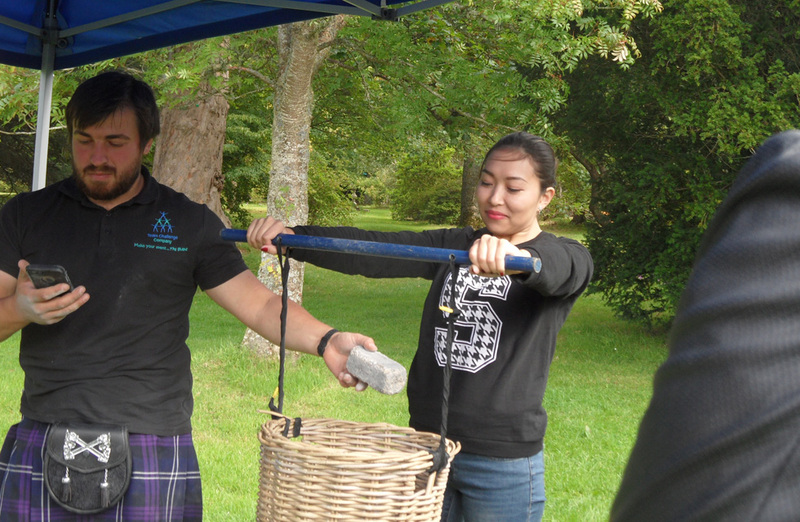 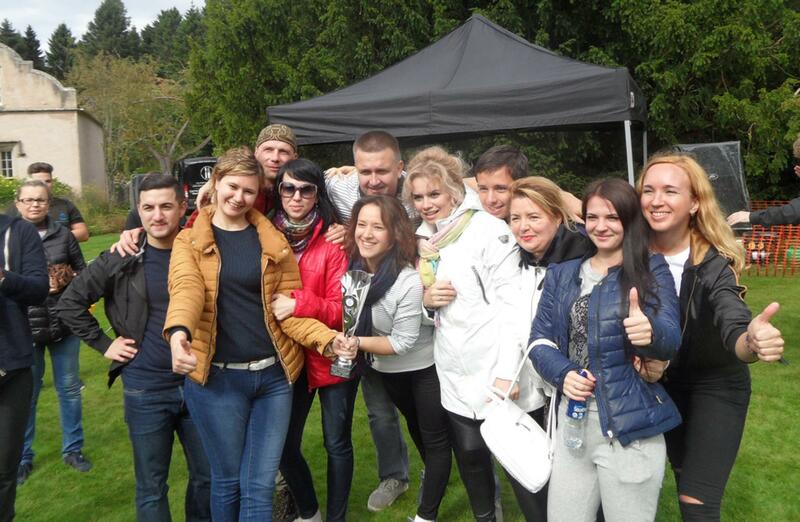 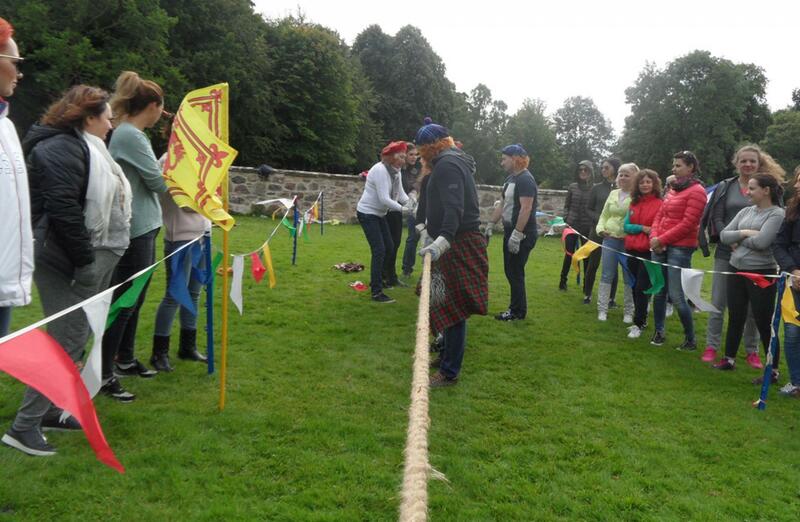 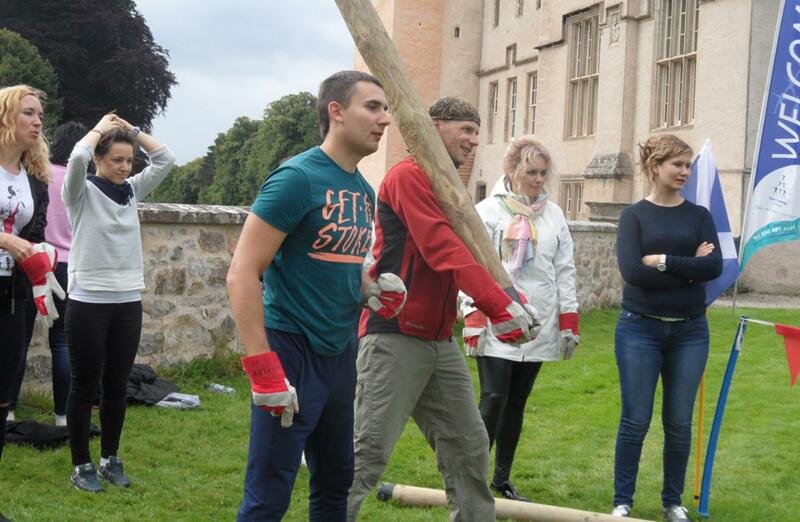 Team Challenge Company teamed up with Wedgewood Britain to provide a day of traditional Highland Games activities for over 50 super keen delegates from Russia. 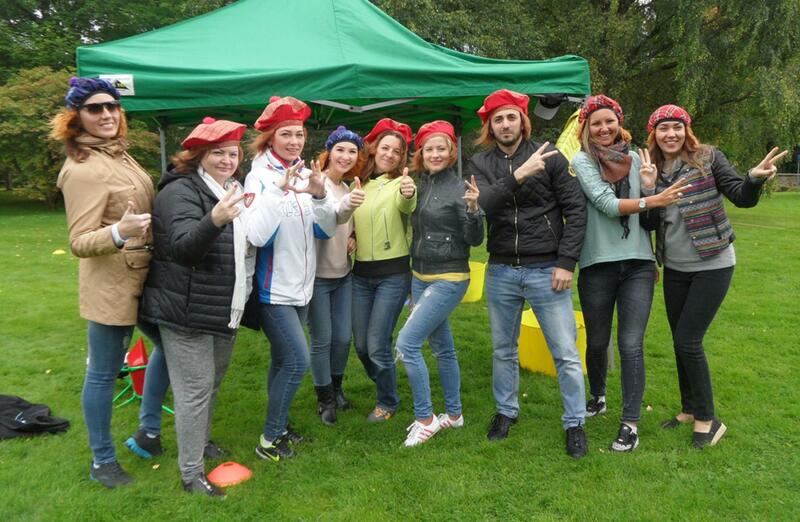 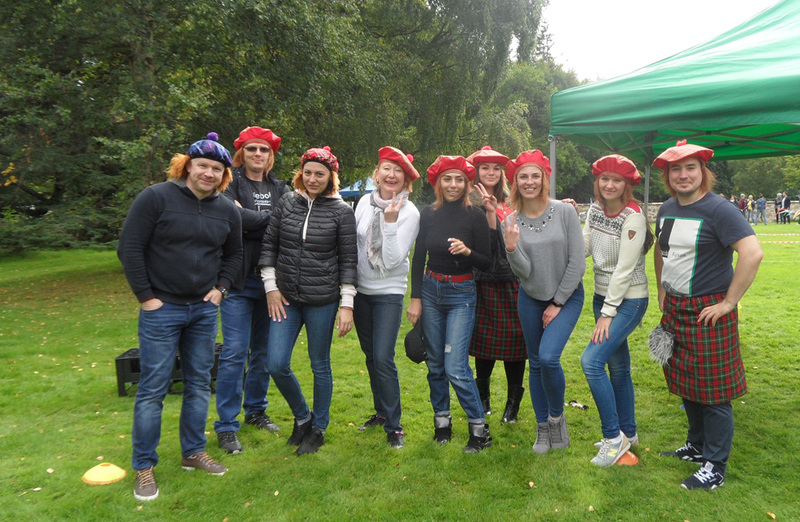 The group split into 5 teams and came prepared with team names and full of team spirit and soon, with a small addition of our tartan Jimmy wigs, they certainly sounded and looked the part! Once the teams were kitted out and eager to get going, it was time to start the competition for the Team Challenge Company Winner’s Trophy! 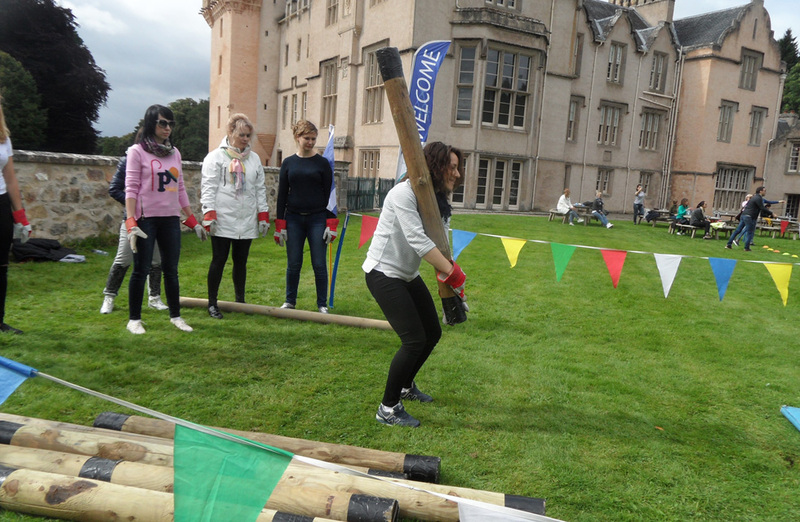 The teams took part in various challenges throughout the day including Caber Tossing, Haggis Hurling, Welly Boot Throwing, Fly Casting and the ever fast paced Hey You Jimmy obstacle course. 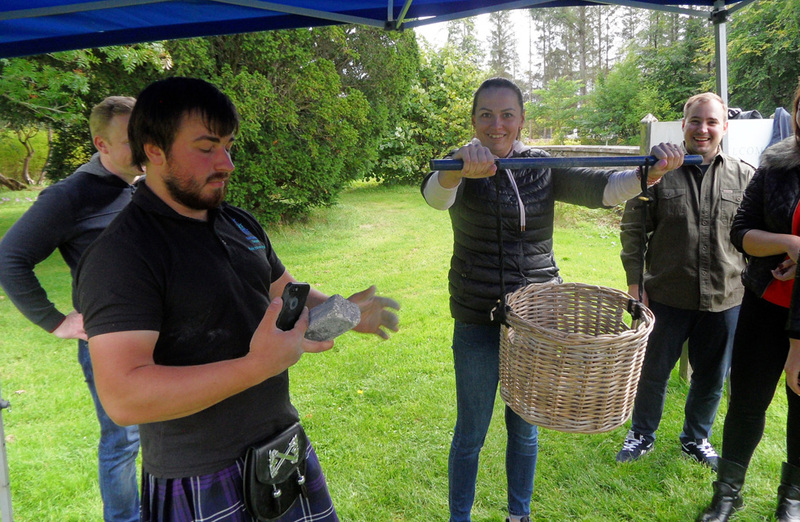 Our Fly Casting challenge saw so many would-be anglers hit the target time after time (one team even managed to hook a chef!) 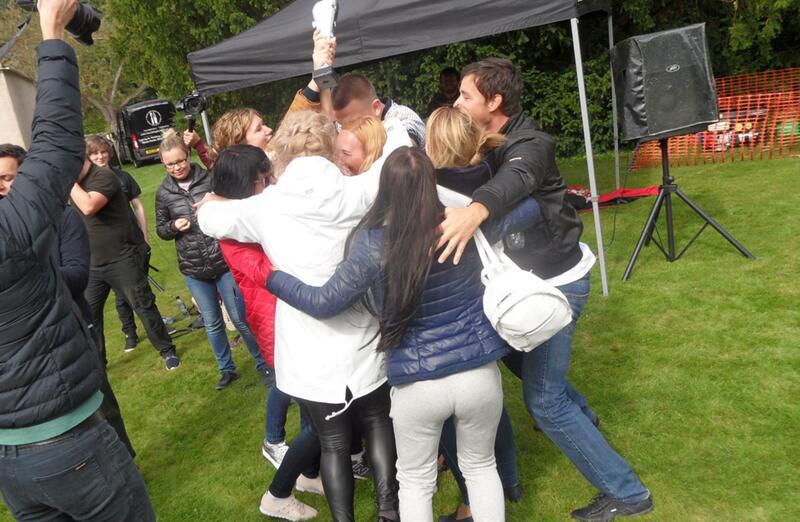 all without even breaking a sweat! 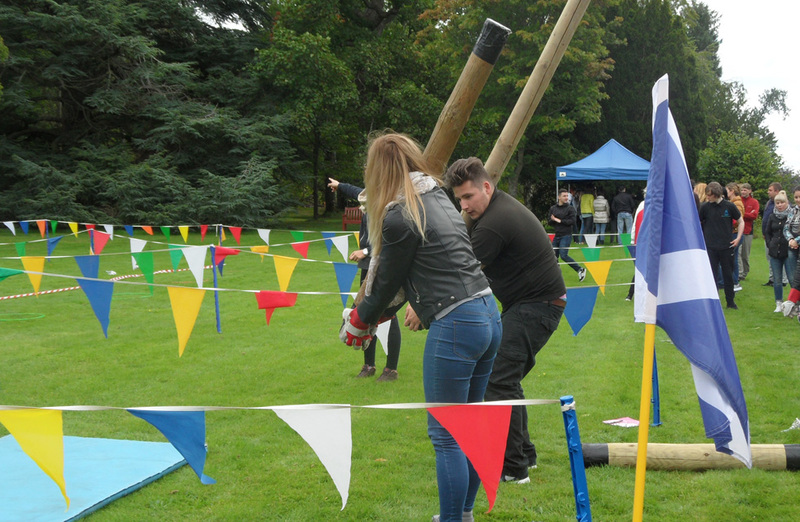 Over at Caber Toss we saw the teams showing off their super strength in this classic Highland Games activity, with teams managing to beat long standing Caber records at Brodie Castle, gaining valuable points towards their final score. 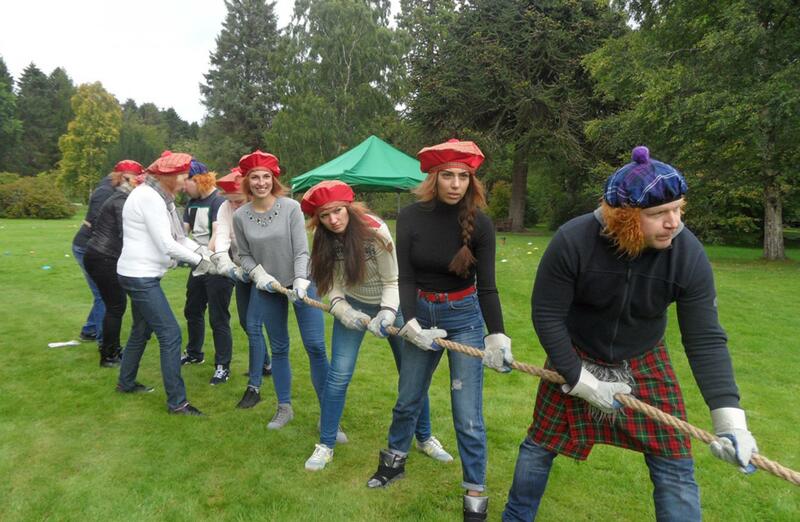 With the noise – and muscle straining – coming from Stone Lifting Challenge, it was a sure sign that the teams were working hard at this challenge (everyone had to!) 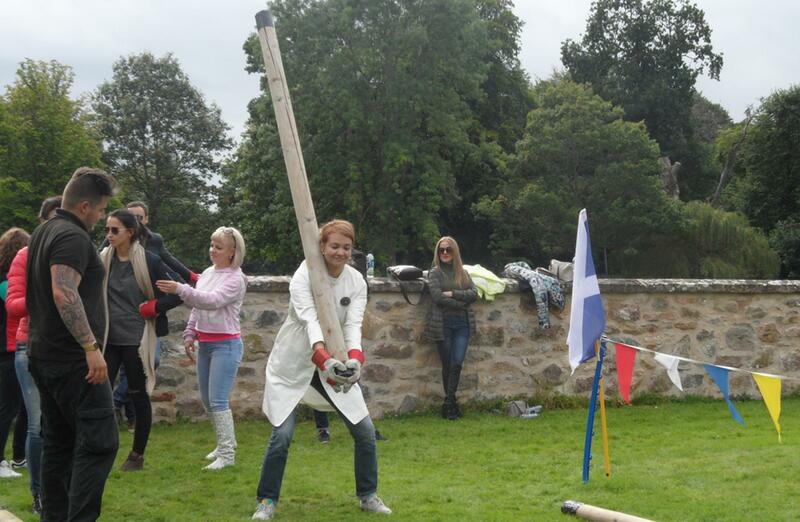 as teams managed to beat their opponents by holding onto the greatest weights for the longest time - Super Russian Power! 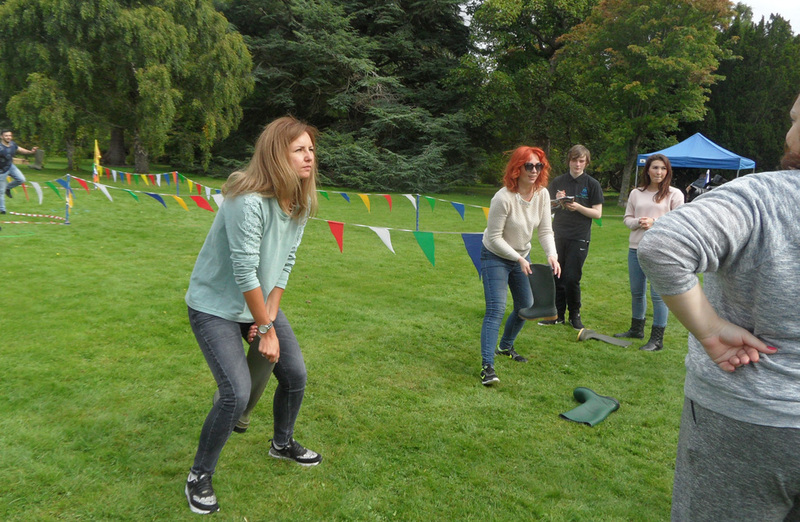 Not to worry though, for the gentler art many showed they had skills of their own at the Fly Rod Fishing challenge, where teams managed to work up huge points with technique over power - great achievements from so many competitors. 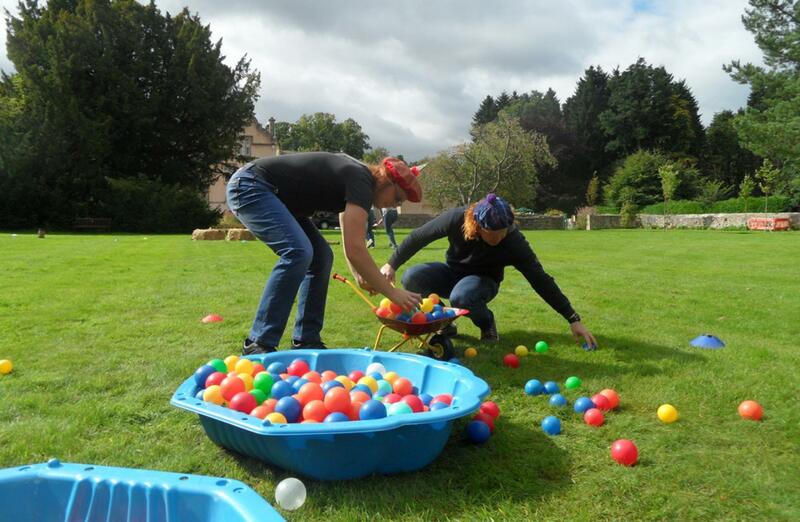 At HEY You Jimmy, the teams had to race around the course with their wheelbarrows, making their way over bridges, round posts and through hay bales to get to the end of the obstacle course under the watchful eye of their instructor. 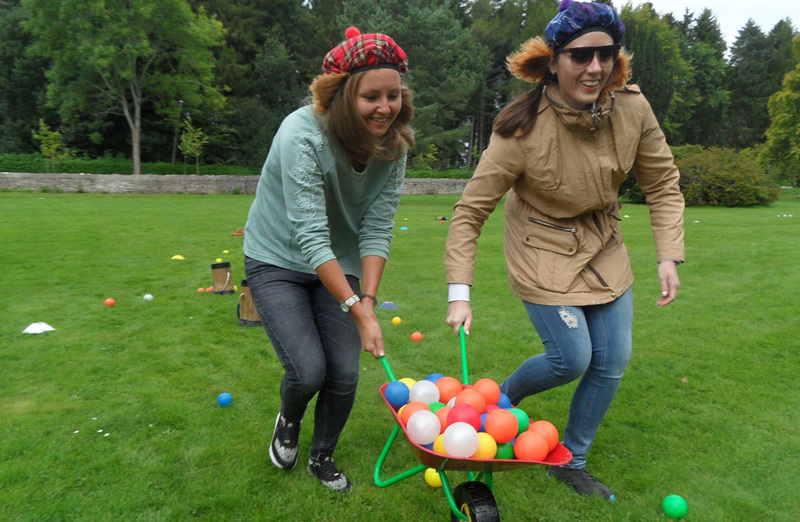 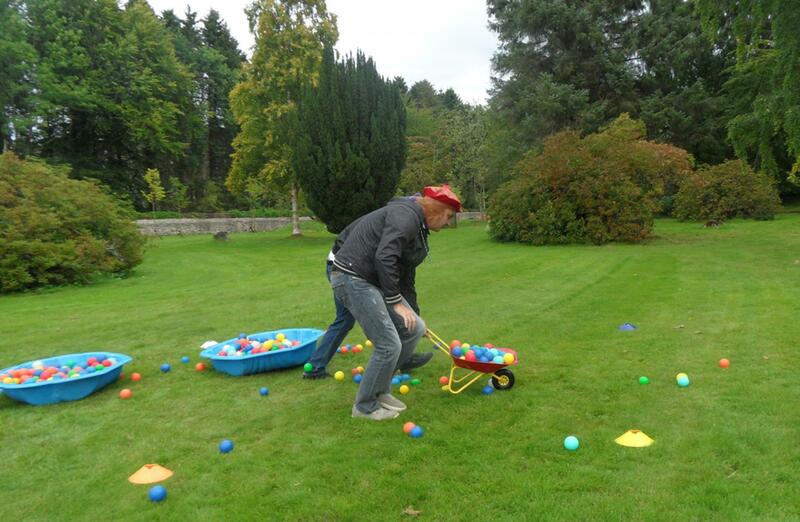 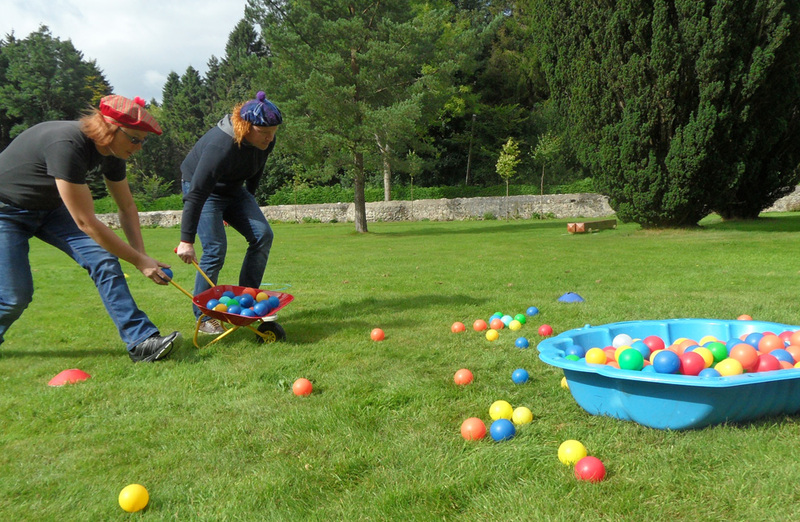 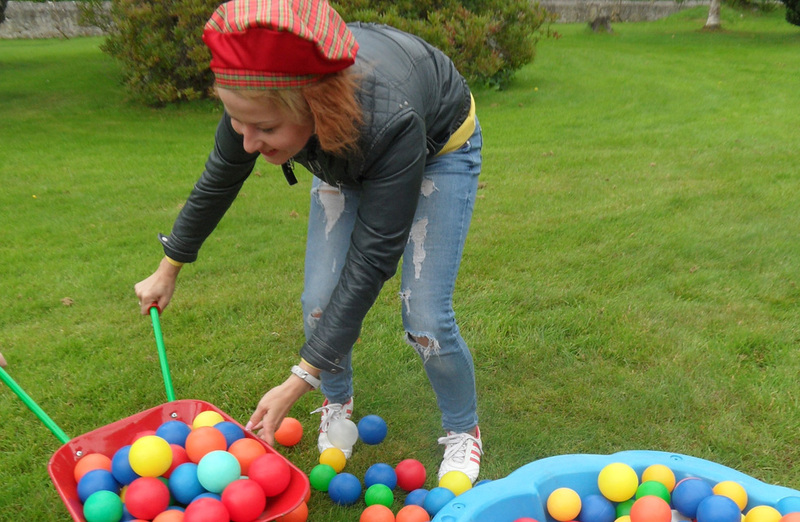 They then had to fill their wheelbarrows with balls and race back to fill their buckets. 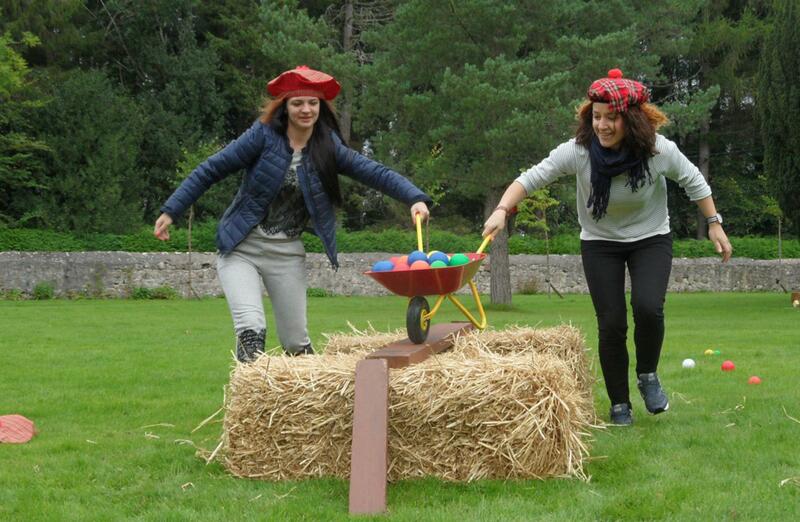 The teams were competing to have their bucket the fullest in order to win those crucial last minute points, and with only one unfortunate person losing control and ending up deep in the hay bales, they did extremely well with great navigation skills - just look at those photos! 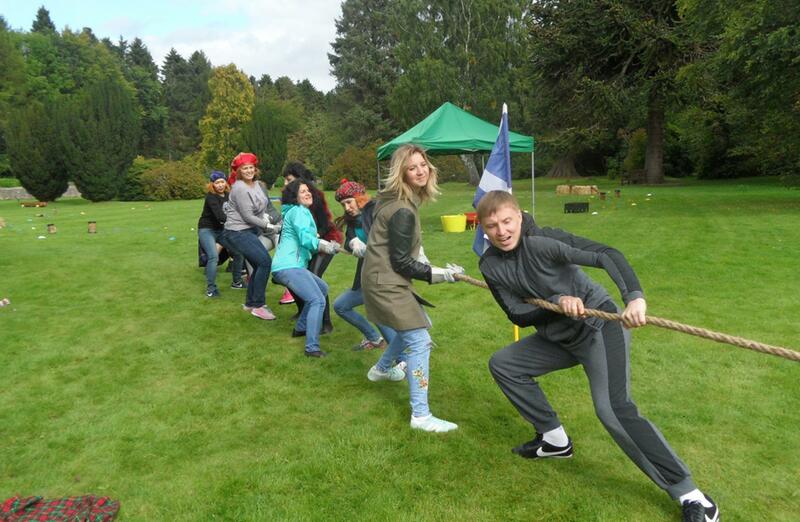 Another challenging activity to participate in and overcome for the teams was the Tug O War Finale, which saw the teams aiming to pull each other over the battle lines. 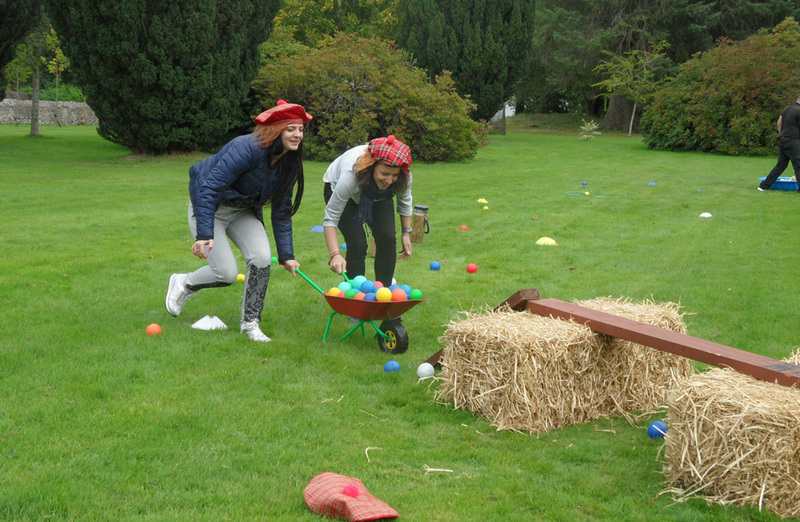 However, some teams struggled to even hold on to their opposition! 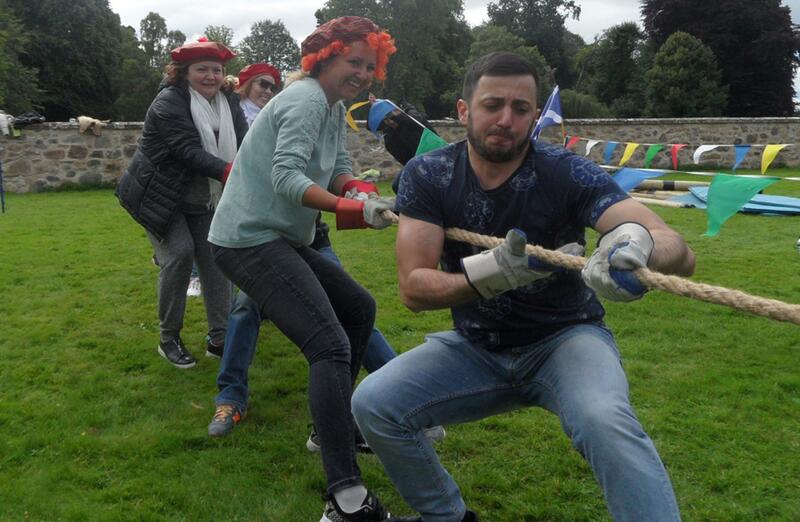 Even our Team Challenge Company instructors got stuck in against the very toughest of Russian teams... and yes, it’s true - we were beaten! 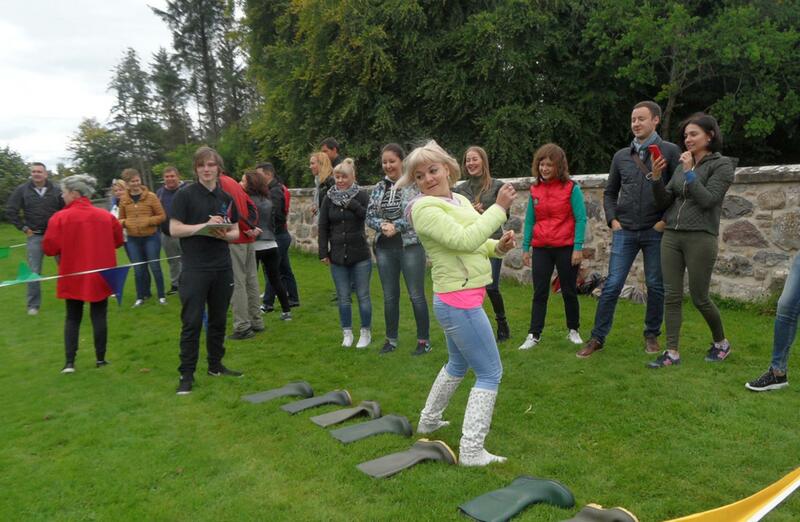 Now that the last points were in, it was time to tally up the scores and present the trophy! 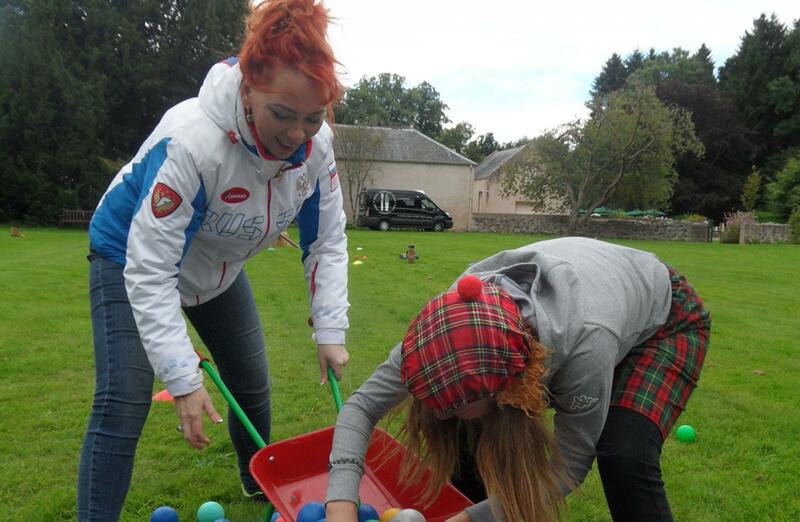 In last place, with 2800 and taking home the Loser’s Wooden Spoon, was team Green Tartan! 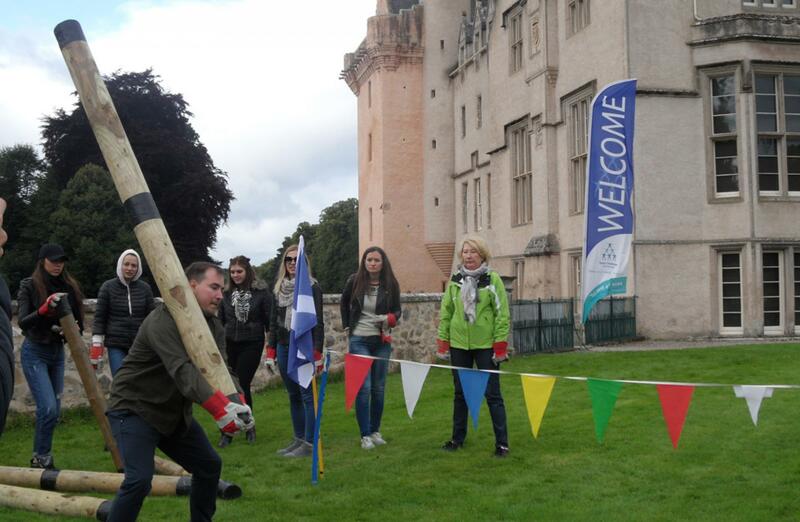 In forth was Team Bagpipes with 3100 points In third place, with 3800 points, the Bravehearts team! 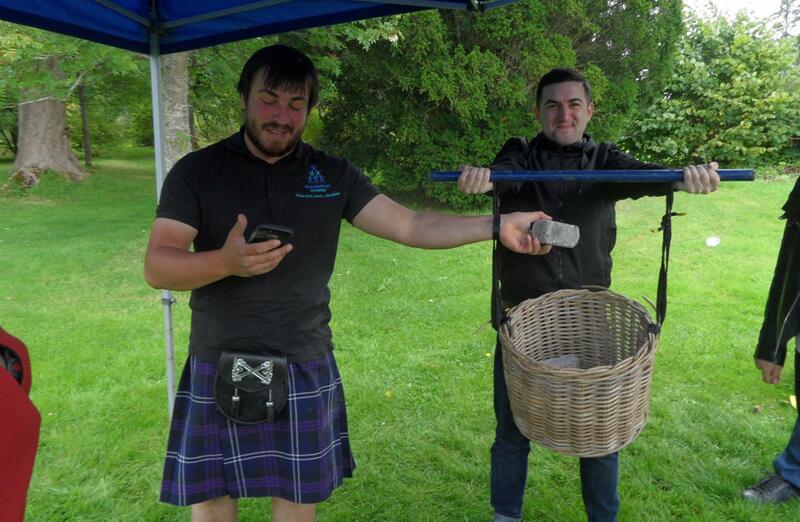 In second place, just missing out on the top spot with 4200 was team Beautiful Girls with a Man in a Kilt! Which means our winners, with 4400 points and taking home the Team Challenge Company Winners’ Trophy was team McShot! 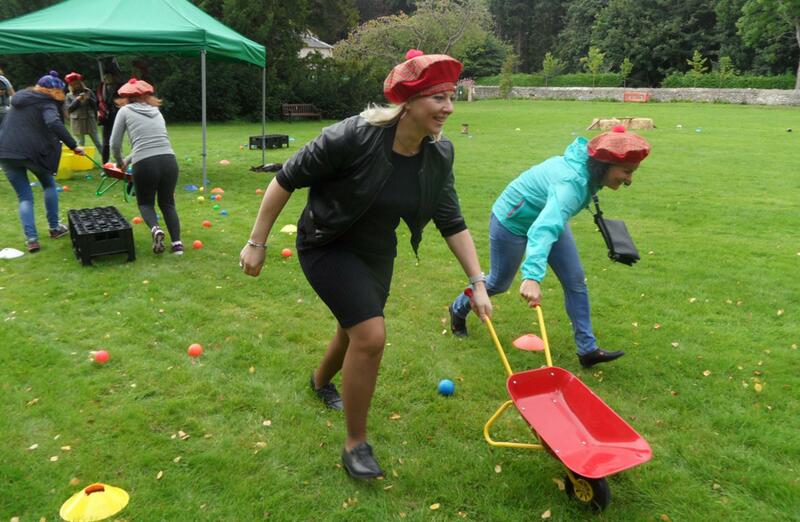 A huge well done and thank you to Wedgewood Britain and the National Trust for organising the superb day, and to everyone who took part – we hope you enjoyed it as much as we did at the wonderful Brodie Castle! 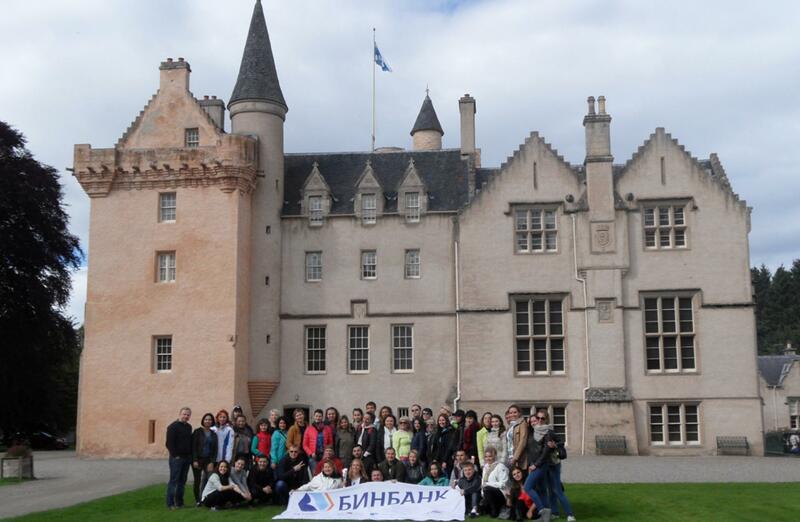 Our team had a great time working with you and entertaining you all and we look forward to seeing you again back in Scotland soon. 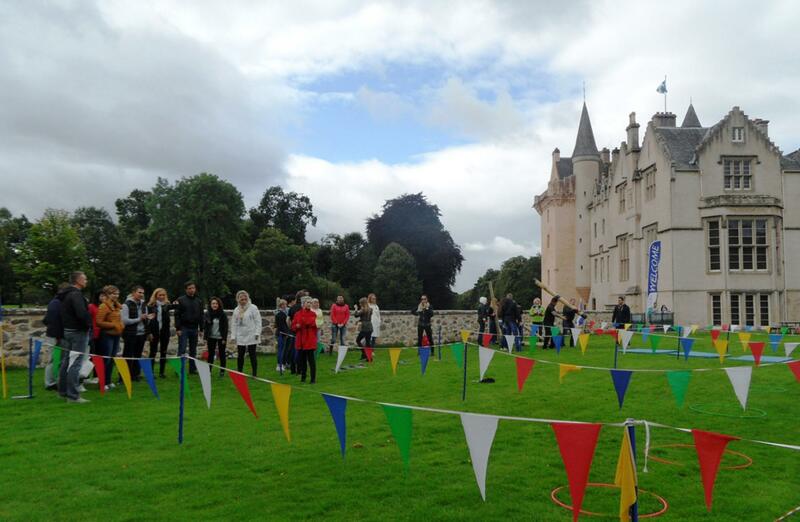 A great day at the beautiful Brodie Castle! 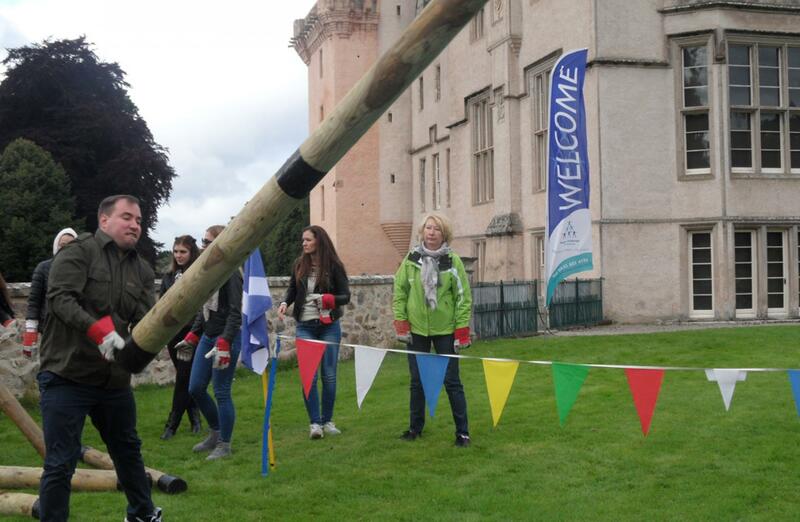 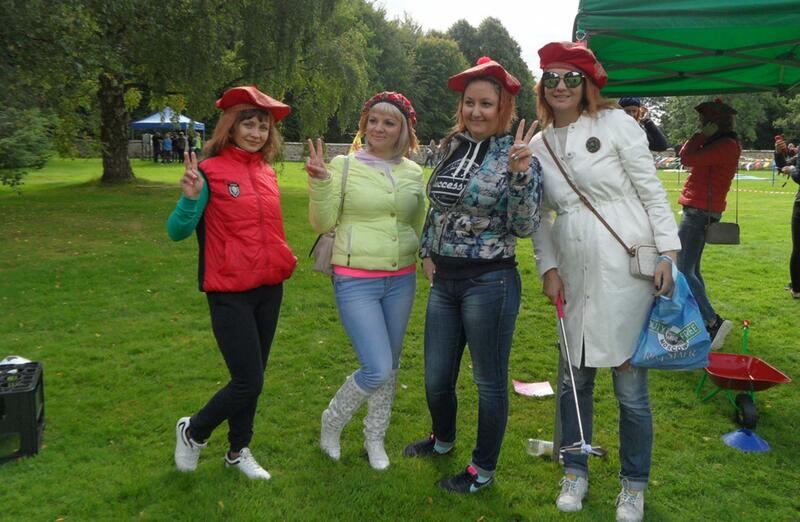 we had a great time with you all showing you a real Scottish highland Games! 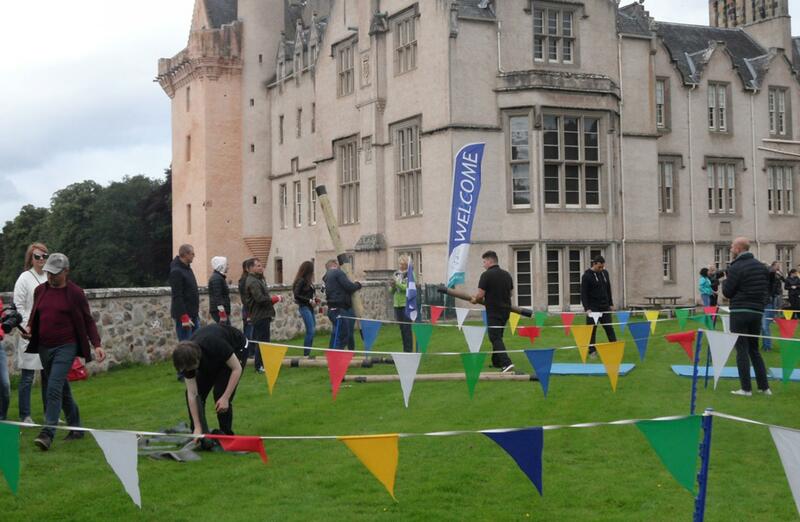 Great venue and a great event with a really fun group, we hope you all enjoyed the day as much as we did!